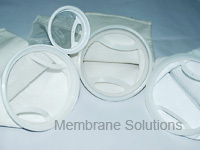 MS® Monofilament Mesh Filter Bag (NMO) is constructed using a woven fabric. Each thread is a single filament, providing excellent strength with no fiber migration. The fabric is designed with evenly spaced holes. 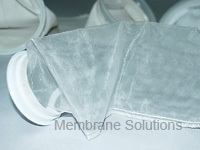 The monofilament yarn used in the fabric is extremely abrasion resistant, resistant to a broad range of chemicals, unaffected by metal fatigue or corrosion, has no loose fibers and boasts high tensile strength.